Mushrooms have become very popular over the last few years. 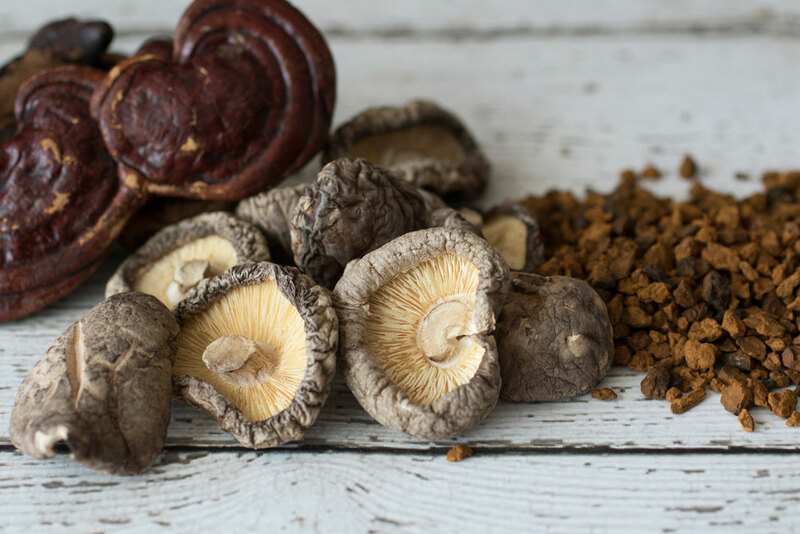 From shiitake and reishi, to chaga and maitake, more and more folks are feeling drawn to these fascinating and useful beings. 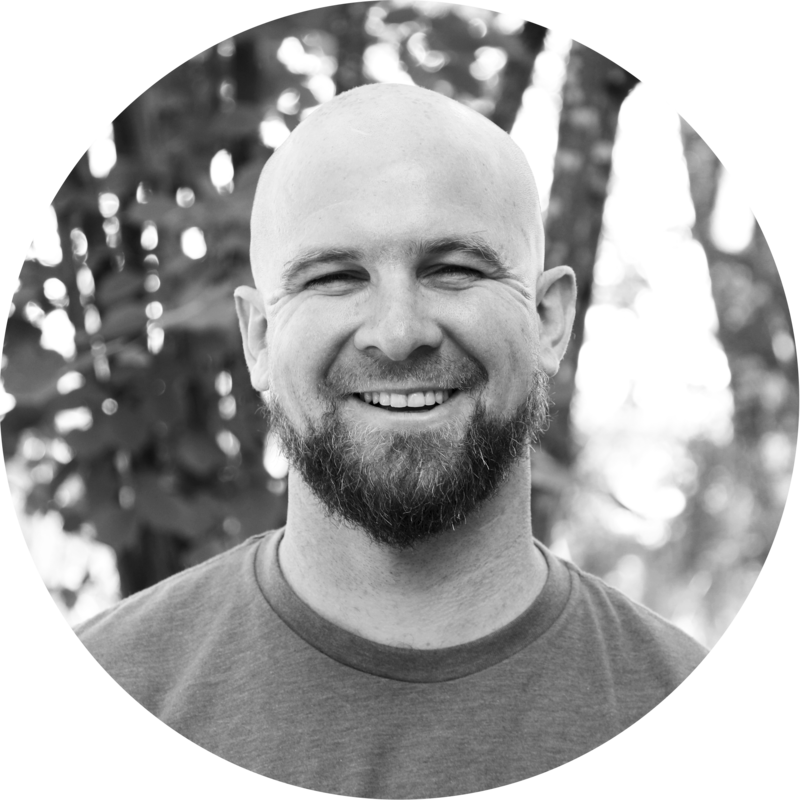 When I’m at events, I get a lot of questions about how to prepare and consume them. Making a decoction is a good way to go, but I prefer making what’s called a “double extraction” since mushrooms contain some constituents that are water soluble, called beta-glucans, and some that are alcohol soluble, called triterpenes. A double extraction effectively pulls out these constituents with the added benefit of being shelf stable! 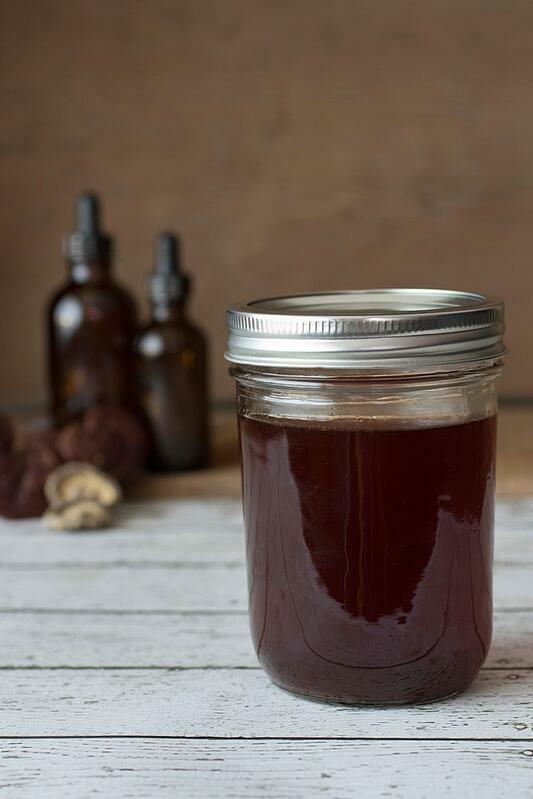 Ready to work with mushrooms in your home apothecary? Making a double extraction is actually very similar to making a tincture with plant material. The process is simple, and I hope this easy step-by-step guide will be helpful as you create a mushroom double extraction of your own. 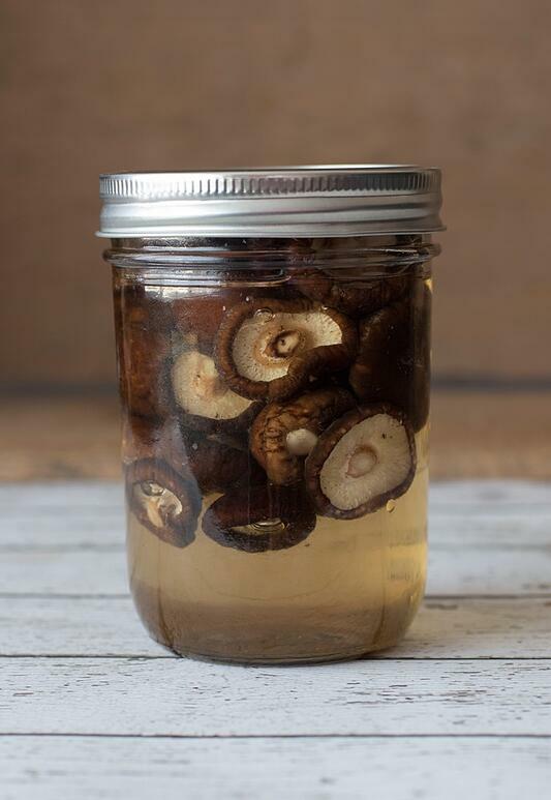 Fill a quart-sized glass jar halfway with dried mushrooms. Fill jar with alcohol, making sure that it completely covers the mushrooms, but leave about a 1/2 inch space at the top of the jar. Secure lid. Simmer the mushrooms for about 2 hours, until the water has reduced to approximately 8 to 16 ounces. Make sure to keep an eye on the water level, as you don’t want it to completely evaporate. You may need to add water to the stock pot throughout the process. 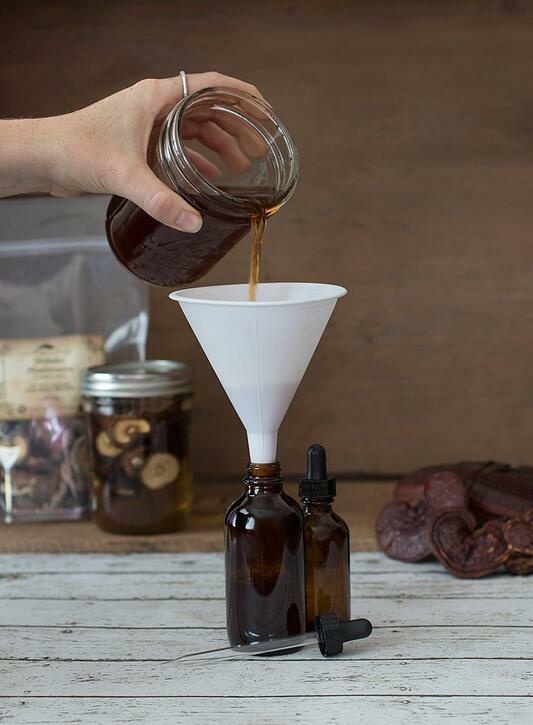 Strain and compost the mushrooms using a funnel and cheesecloth, reserving the mushroom-infused water. The final product is your mushroom double extract! The alcohol percentage should be somewhere between 25% and 35%, making it shelf stable. Looking for more info on extraction?